Sometimes in public policy, especially in health care, most everyone agrees there is an obvious problem. But more often than not, getting everyone to agree on a solution is much harder. That’s what is happening right now when it comes to access to mental health care in the Central Valley and two mental health facilities are showing that gap in a stark way. First, let’s get the ‘thing everyone agrees on’ out of the way. It’s probably not a surprise that the Central Valley has a severe shortage of mental health facilities and providers. Combined with high rates of mental illness, access to care is a major concern. “It is generally scarce everywhere but in particular in this county new programs and services are desperately needed. So that is we identified this area,” says Michael Zauner, the Group Director of Behavioral Health with Universal Health Services. Zauner is interested in building a big new behavioral health facility in Clovis. They are proposing building a 102-bed, $40 million short-term inpatient care hospital near Highway 168 and Clovis Avenue. The company has a lot of experience with this kind of hospital. They run more than 200 mental health facilities around the world. Zauner says the location would mean the hospital is accessible to much of the county. But that has not sat well with some community members who oppose construction near their homes, like Clovis resident Randall Gray. “And I am a not-in-my-backyard kind of person. There are lots of things I would say not in my backyard to. There are lots of things I approve of that I don’t want in my back yard,” Gray says. Gray is helping lead the charge against the facility. He agrees there is no question that the facility is badly needed However, he does not like where the company wants to build it. He worries it is being built too close to homes, schools, and could endanger children. “You are going to have people that are going to be released by taxi. They are driving places that might want to get out of the taxi. Here is one of my concerns, you are going to have people that are homeless. If the hospital can’t handle them, and the police can’t handle them, they are going to send them there,” Gray says. Gray also argues that building the facility at its current location would tank property values. He thinks it should be built in a more remote location. Michael Zauner with Universal Health Services says they have run into this kind of skepticism before but have not seen the negative results Gray anticipates. “All I can say is what actually happened in terms of safety, homelessness, increasing crime, land value impact, we just haven’t seen that. So I guess, what I can say is ‘yes, I understand it’ but I just think it is misguided or misplaced,” Zauner says. 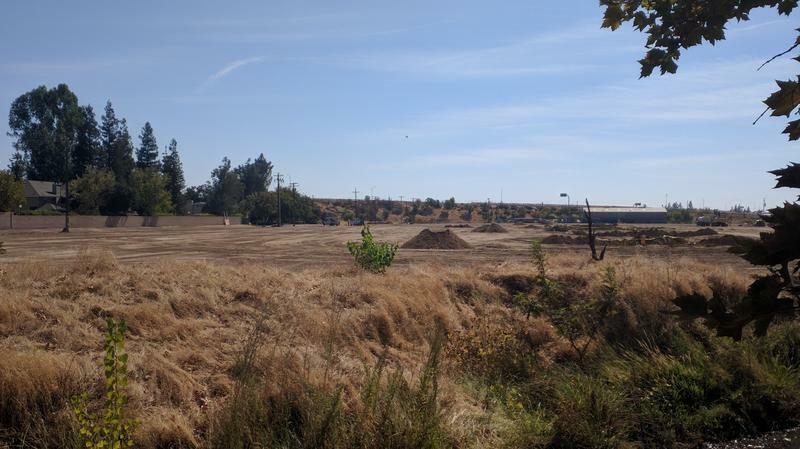 At the same time, the Fresno County Department of Behavioral Health is in the process of constructing a 16-bed medium to long-term psychiatric care facility at the corner of Huntington Boulevard and Barton Avenue near the University Medical Center Campus. Dawan Utecht is department’s director. “This would be for people who don’t meet the requirements for an inpatient setting, but still need some supports and a place to stay until they can stabilize,” Utecht says. For example, someone who is homeless and needs a safe place to stay until they can fully reintegrate. The plan now is to let people stay for about a month. Utecht says that is something currently lacking in what she calls the county’s continuum of care. Currently, the county runs fewer than 100 crisis stabilization beds for people who need intensive intervention, a number that Utecht says most people would consider ‘under-bedded’ for a county of nearly one-million people. As a result, she is fully supportive of Universal Health Systems adding 100 beds to the county’s capacity. However, the 16-bed Southeast Fresno facility has not experienced the kind of push back the proposed Clovis hospital is seeing. Utecht thinks that might be because the county owned the land and did not need the kind of use permit the hospital in Clovis needs. Still, she finds community concerns about mental health patients troubling. “The more we create this stigma and discrimination around mental illness, the more chance people will not seek help. That they will hide their illness because when they put it out in the open this is the response they get,” Utecht says. The hospital the county is building is expected to open next year at a cost of around $5 million. The fate of the 102-bed hospital in Clovis is still in question. It has received initial approval from the Clovis Planning Commission. But it will also have to be approved by the Clovis City Council. That vote may not come until next year. And some, like Randall Gray, promise to keep fighting it.